Renowned pediatrician and author Dr. Harvey Karp has built a career on helping parents and newborns get more sleep. His latest project, the culmination of nearly five years of research and development, was created with the help of Swiss designer Yves Béhar of Fuseproject. The result of their teamwork is called SNOO, the first-ever smart, responsive crib that offers not only a stylish aesthetic, but can also help respond to some of a fussy newborn’s most basic needs. The SNOO crib has built-in sensors to monitor a baby’s crying and adjust its movement and sounds in an effort to soothe a fussy baby who just needs a little help getting back to sleep. 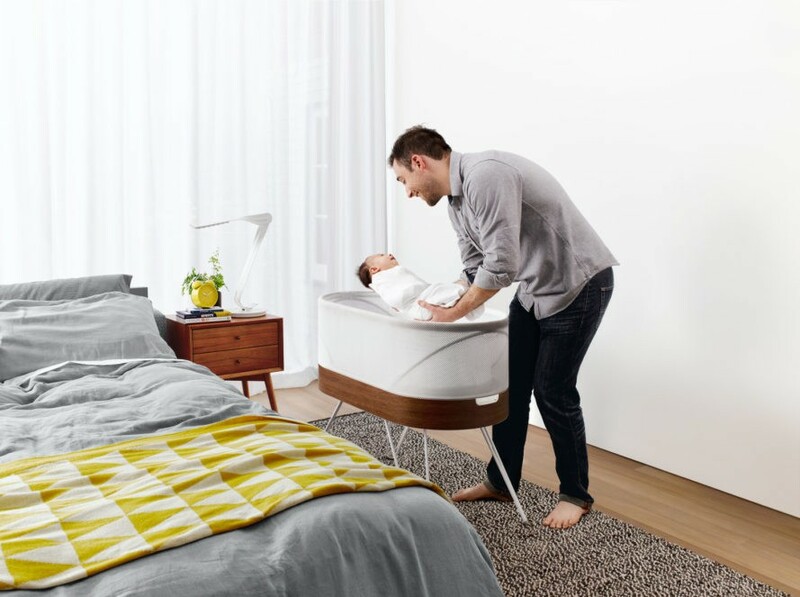 Karp and Béhar designed this smart crib from the inside out, starting with a brand new drive train -- and the whole thing is packaged in a beautiful bassinet that would fit into the decor of just about any home. Many parents are already familiar with Karp as a respected pediatrician and the author of The Happiest Baby on the Block, which aims to help parents tackle the most basic of infant care—sleep—in a gentle way. He also developed “The 5 S’s,” a five-step technique for soothing and comforting fussy babies in order to help them sleep. 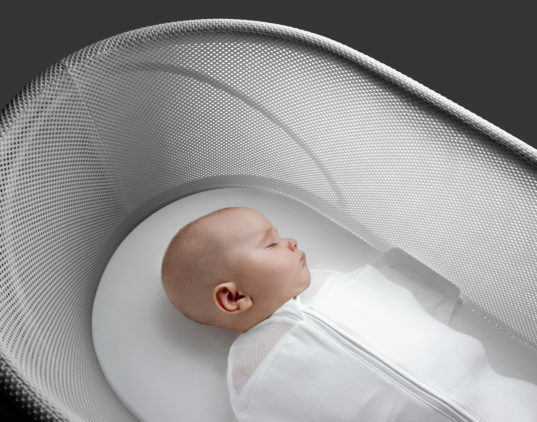 In partnering with Béhar, Karp translates his advice into the language of design and technology, in the form of a crib that promises to run interference for tired parents of newborns. The SNOO crib sports a new drive train specifically designed for this product, which creates a rocking motion that can endure millions of cycles, which is substantially more than the typical infant rocker swing. The crib’s movements are designed to help train a baby’s circadian rhythm earlier, which leads to better sleep for both baby and parents in the long run. In conjunction with its gentle movements, the SNOO crib also plays a variety of white noise specific to the amount of the infant’s crying: a low-pitched white noise helps a tired baby fall asleep, while a higher pitched white noise may calm a fussy infant. The SNOO crib sells for $1,160 and is available online at Happiest Baby for shipping to US addresses. The high-tech crib is designed for use from birth to around six months, or until the child is able to get into a crawling position.